WANTED: Suspect still on the run after high-speed chase through Harrison Co.
Andrew Ryan Law is accused of leading officers on a chase through Harrison County Monday night. HARRISON COUNTY, MS (WLOX) - A suspect who led police on a chase throughout Harrison County, causing parts of Long Beach to be closed, is still on the run. 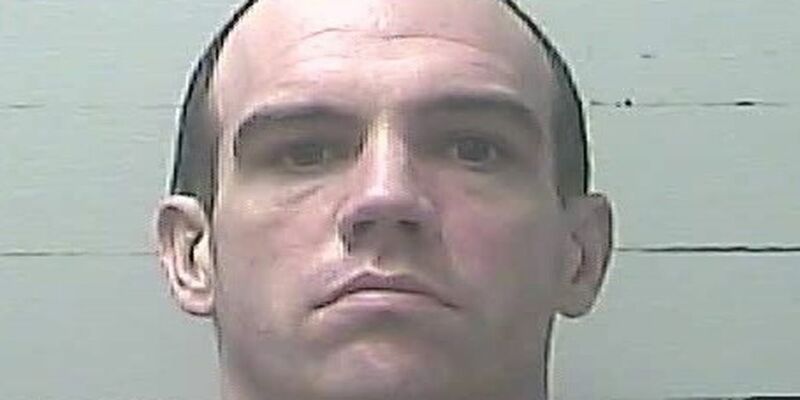 Biloxi Police are asking for the public’s help to locate Andrew Ryan Law, 34 of Vancleave. Law and another suspect are accused of breaking into a Biloxi home. Police said one suspect was arrested but Law fled, stealing a RV and then fleeing on foot. Biloxi Police say it all began earlier in the evening around 6 p.m. when a burglary was reported at a Biloxi home on Oak Grove Place. Jewelry and clothing were reported missing from a residence there. A neighbor described a red Saturn Vue as the suspect's vehicle. Shortly after at 6:45 p.m., officers spotted a vehicle matching that description and attempted to stop it. The vehicle did not stop, leading Biloxi Police officers and Harrison County sheriff's deputies on a pursuit through Woolmarket. The Saturn crashed into the fence of a business on Shriner's Boulevard. Police say Law, who was driving the vehicle, fled on foot while a woman, Divinity Renee Mires, remained in the car. Law was able to steal a RV from Camping World and once again took off. Authorities followed the RV into Long Beach, closing down part of 28th Street and instructing residents in the area to stay in their homes and lock their doors. The RV hit a Long Beach patrol car before crashing near 28th Street and Bell Circle. Police said Law once again fled on foot, eluding authorities who were unable to locate him. Police say Law has multiple felony warrants out for his arrest. They are asking anyone with information about his whereabouts or this incident to contact Biloxi Police at 228-435-6112 or 228-392-0641, or by contacting Mississippi Coast Crime Stoppers at 877-787-5898. Mires, 33 of Gulfport, was charged with burglary of a dwelling after items from the home in Biloxi were found in the vehicle she was in. She was taken to Harrison County Jail where a $25,000 bond was set. The goal of the 9th annual Law Enforcement Appreciation Awards Breakfast at the Golden Nugget Hotel & Casino in Biloxi was to say thank you to officers and others who have helped solve crimes and make a difference in their communities. The aging Harrison County Adult Detention Center will soon get a $2.5 million upgrade.